The health of our teeth is so important for many different reasons. Not only is having a healthy, full set of teeth vital for eating food and for speech, but having a beautiful smile can make the world of difference to our confidence and how we are perceived by other people. Because dental care and regular check-ups are so important to ensure the health and longevity of our teeth, we offer a relaxed environment for our patients in which they can receive comprehensive dental consultations, at which we will recommend follow-up care and treatment options where appropriate. As the old saying goes, prevention is better than cure and our dentists and dental care professionals work towards ensuring every one of our patients has a healthy smile. Our intra-oral smile camera takes detailed photographs of your teeth and gums to enable our team to provide a comprehensive overview of your oral health, as well as suggesting any beneficial treatments to improve the health or look of your smile. We can use the images generated by the smile cam to help you understand the suggestions we make. We know that many people are often anxious about visiting the dentist, so our specially trained dentists, therapists, hygienists and nurses are on hand to reassure even the most nervous of patients. 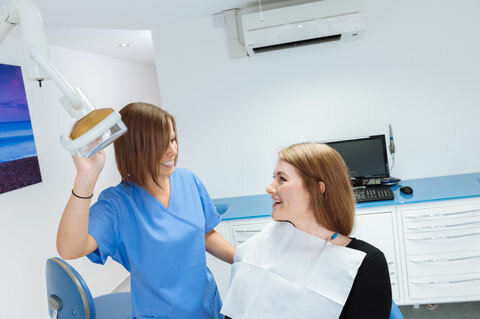 Our caring team use modern dental techniques to provide the most comfortable of consultations and treatments. 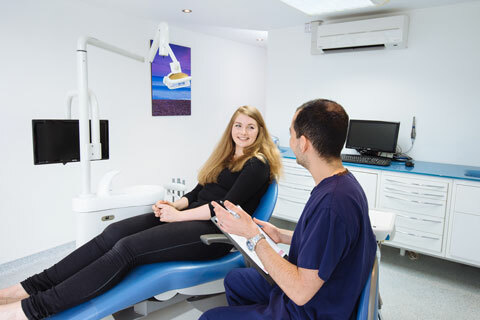 At your initial private dental consultation we will listen carefully to any concerns you may have before detailing how we can help you to receive the very best dental care. Our team will then create a bespoke personal dental care plan written specifically for you. Where appropriate we will include all available options. Should a consultation result in any treatment being advised, we can even offer sedation for patients who are very anxious. Once our expert team has created your bespoke personal dental care plan, we will ensure you have the information required to pursue your own choices in selecting the best dental care plan for you. We offer world-class advice, with no obligation and conveniently located in Pulborough West Sussex. For patients who simply want to discuss their needs before selecting their preferred dental practice, or if a patient requires a second opinion, we offer a complimentary initial consultation with Arvin, our experienced dental surgeon. During the free private dental consultation, Arvin will talk you through your specific needs, the treatments on offer and how they can be of benefit. You may ask us any questions you might have about the treatment, what to expect at Vitality and to discuss fees and payment options. Likewise, if you have not visited the dentist for some time, we offer a free consultation to give advice and discuss any treatments you might need to get your dental health back on track.